With the advent of the Internet, online platforms have become a popular tool to do just about anything from marketing to procurement. Today, three young men from Joburg are in the business of ensuring that SMMEs benefit from the tendering system through an innovative new online platform. 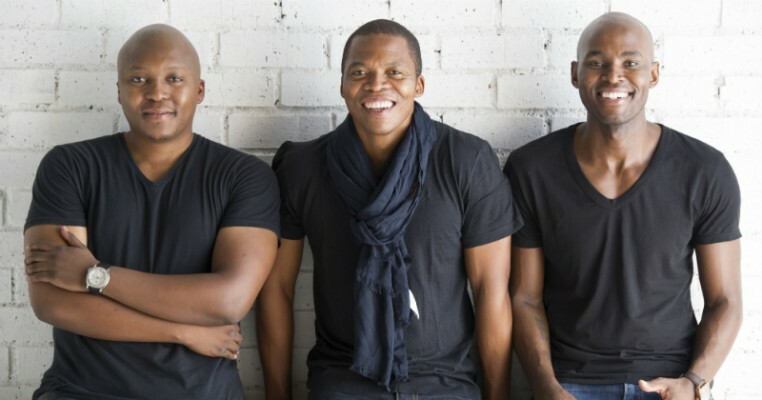 Being born out of the frustration that they themselves had to face and endure as entrepreneurs seeking access to opportunities and raising funds, OPENTENDERS is the brainchild of Madoda Khuzwayo, with co-founders Sivu Maqungo and Mnive Nhlabath. BBQ spoke to Khuzwayo, who told us more about their exciting journey with the product and what it means for SMMEs in South Africa. Khuzwayo says tenders are only a mechanism for government and big corporates to call for interested businesses to provide them with services and products. According to him, there is as much as R1.3 trillion per annum being procured by government entities. “Business must position itself to benefit from this procurement. Government has committed to set aside 30% of its procurement for small and medium enterprise. At OPENTENDERS we intend to make sure SMMEs get to know about these opportunities and are enabled to pursue them. “Opportunities are a numbers game, the more you tender, the more you increase your chances of success. At OPENTENDERS we increase that chance by channelling more opportunities to entrepreneurs and SMMEs. We currently list over 300 new procurement opportunities daily and this number is growing day by day,” Khuzwayo says. Talking about the early days, he says OPENTENDERS went through the same challenges that all start-ups go through including finding the finance to continue to run the business up until it was making money to self-fund its operations. According to him this required raising funds and the fact that they had to invest their own money to get the business to where it is today. Another challenge was recruiting the right kind of personnel to fit the culture they were building – yet also bearing in mind their need for people who possessed the required technical capabilities to work in a tech-based environment. 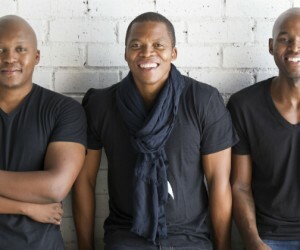 For Khuzwayo the main ingredients of his personal recipe for success is focus and persistence. “If you want to run a 42km race and finish it, all you do is start, stay on course and persist until you finish it and will be successful. It is the same in any endeavour and this is the principle we apply in our business. We set out to create a platform to connect entrepreneurs to opportunities and our mission is to help a billion people connect to opportunities. Then we will be successful ourselves,” he says. According to him the critical element of success in any business is its ability to access the market for its products and services. He says social media has captured the attention of over three billion people worldwide and that it is a market place of enormous proportion. He also points out that it has been determined that people check their phones at least 150 times a day on average. “You may think that number is inflated, but I challenge you to start counting how many times you look at your phone screen per day, you would be astounded. “Social media’s power lies in its ability to keep that three billion people plugged in all day, everyday. A business that is able to leverage the need for people to interact on social media platforms, which is what we have done at OPENTENDERS, has struck a winning formula. What we have done is to create a platform for entrepreneurs and SMMEs to network and transact with each other. Whilst at the same time accessing the tenders from government and the private sector, they can also invite their friends onto the platform and exchange views on a myriad of issues using the OPENTENDERS platform. What we are offering therefore is what can be described as a business-to-business social media platform,” he says. Khuzwayo says it is also important to network. On the topic of business networking, he says business are run by people and people prefer to do business with people they have measured and come to view as the type of person they would wish to do business with. He says whether you are in the public or private sector, you want to network your potential suppliers to confirm whether they possess the capacity to deliver and are the type of people your entity wants to associate with. Expanding on the topic of how local government and the private sector can work together through tendering to create economic upliftment in South Africa, he says “the first thing that local government and corporate South Africa has to acknowledge is that the economic upliftment of South Africa will be directly related to the growth of entrepreneurship and it is behoven upon them to facilitate this growth by opening up their procurement to as many SMMEs as possible. They must develop their supplier databases to include up-and-coming businesses, especially from previously disadvantaged groups. They must engage in the skilling of entrepreneurs to enable them to run the kind of businesses from which government and large corporates would be happy to buy from. “The advent of the internet has made it possible for the entire world to be a marketplace, and this includes even the smallest business. It has levelled the playing field. An SMME that joins a platform such as OPENTENDERS is able to be viewed by potential clients all over the world and by definition has a worldwide presence no different to a conglomerate. What South African businesses and the rest of the world are beginning to realise, is that they must think globally when they launch their products and services,” he says. He says now that they have built a platform that enables entrepreneurs to easily connect with other entrepreneurs and access procurement opportunities, the next step is to develop tools that will assist entrepreneurs in executing these opportunities. “Our aim is to anticipate the future needs of our users and create tools to satisfy those needs better than anyone else. At this stage our users are happy with easy access to tenders, financing, networking and the training that we provide - but we anticipate in the near future they will benefit greatly from various tools that will help them execute opportunities and run their business better,” Khuzwayo concludes.